Palute is a typical Dalmatian restaurant serving local specialities and fresh fish from the “poorer” blue fish such as sardine and mackerel to the big white fish including sea bass and sole. 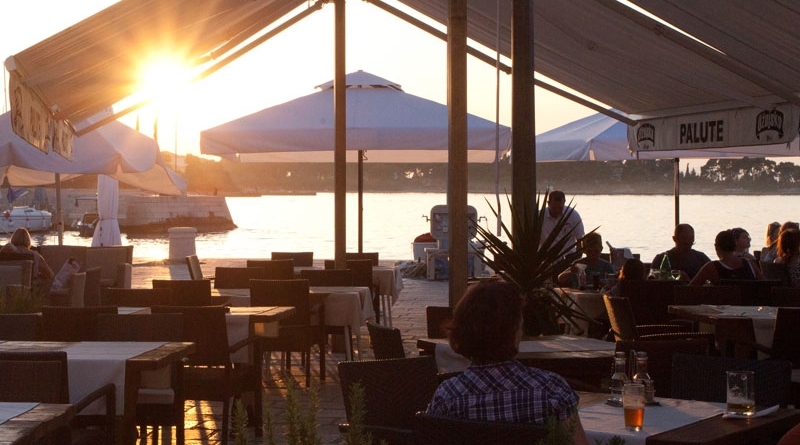 For lunch on the beach, Restaurant Lovrecine is on a sandy beach of the same name, not far from Supetar. They use all local produce here and it is a short ride from Supetar. Access by car, taxi, bicycle or on foot. 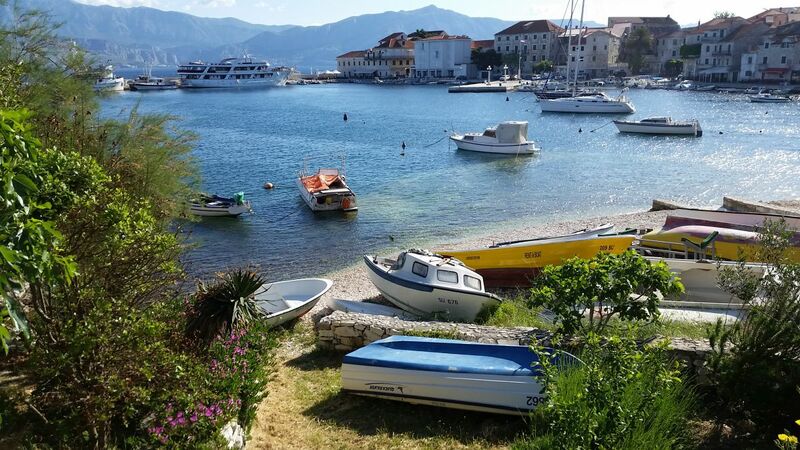 Water taxis from Supetar will take you there and agree a return pick-up time. The restaurant scene here revolves mostly around fish. If you want to stay in the centre, Konoba Gajeta has an excellent reputation and on the road to Osibova bay, Konoba Kapetanovic has lovely outdoor seating amid olive trees and serves superb Dalmatian cuisine. Croatia is not big on mixed salads so if you crave one, head for Restaurant Palma in Milna for a good selection, also the seafood platters here are memorable. 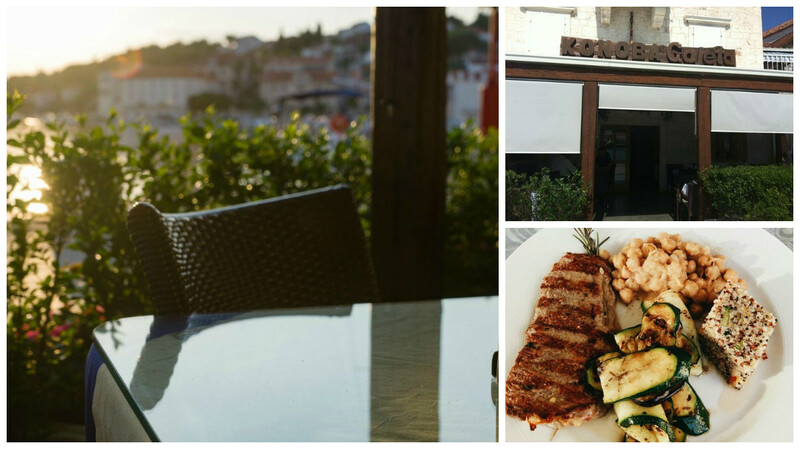 Konoba Bokuncin is an old stone house serving excellent local Dalmatian cuisine. Think home made bread, home made gnocchi with octopus sauce and Brac lamb cooked slowly on embers under a metal bell cover. Taverna Riva is on the first floor of an old stone house on the waterfront with wonderful views and excellent food. A little further on in the direction of the Dominican monastery and church on the Glavica peninsula, Ribarska Kucica (means “fisherman’s house”) which is always busy as the fish is superb. Tables are set on a lovely terrace and sometimes a few are set on the adjacent pebble beach. 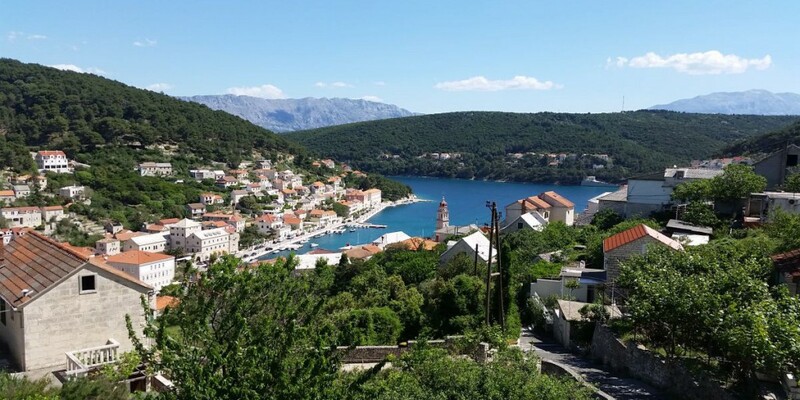 When in Bol, Stina Winery has created a wonderful tasting experience at the former Vinski Podrum co-operative on the seafront; a beautifully renovated, huge stone wine cellar where tastings are great value and there is usually a tapas-style menu too. See if you can guess what the design of the bottle of Stinica’s own excellent wines is all about! There are some excellent restaurants with a rustic ambience and more meat specialities. In Donji Humac (one of the oldest settlements on the island), Kopacina has numerous ways of serving local lamb – in soup, on the spit, under the metal bell and vitalac is the local speciality, lamb’s liver wrapped in intestines (not for the faint hearted). Sheeps cheese here is excellent. Try to have a table on terrace at sunset. Perfect. Not far away in Gornji Humac, Konoba Tomic is housed in the family’s 800 year old former home. Famous for octopus, also under the bell, prsut (Parma style ham) and delicious home made wine. In autumn, visitors can see the old hand-turned press in use. – Even the smallest place has a local market serving fresh produce. These usually open from early morning and often close soon after noon especially in summer. – There is usually at least a fish stall at the market or a local stone hut or slab where fresh fish can be bought. Fishermen usually sell their catch direct from these spots early in the morning. Sometimes there is small fishmonger’s shop. – In restaurants, fish is served by weight to take care when ordering as it could become an expensive meal. 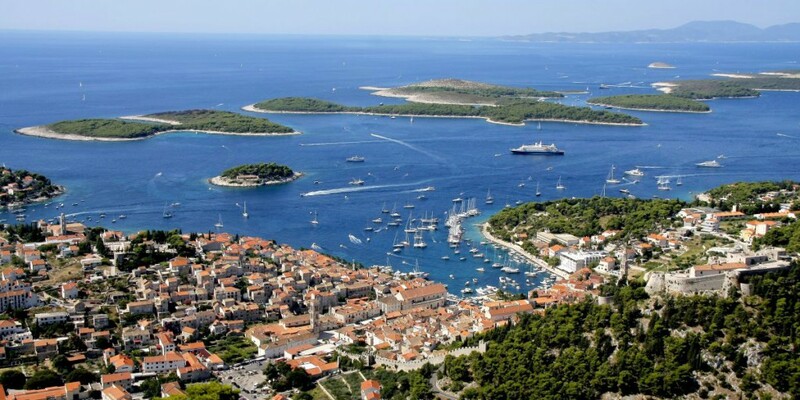 – In Croatian restaurants, the hot starters section of the menu usually has dishes which the British might consider as a main course – examples are scampi risotto or seafood pasta. – Vineyards on Brac produce some excellent house and red wines. Don’t hesitate to ask the waiter to try a little before ordering. If you don’t like it, you can choose a labelled wine which will be more expensive. Look out for Bolski Plavac Mali, an excellent red. – In Mirca near Supetar, it’s worth a quick stop to visit the Museum of Olive Oil.